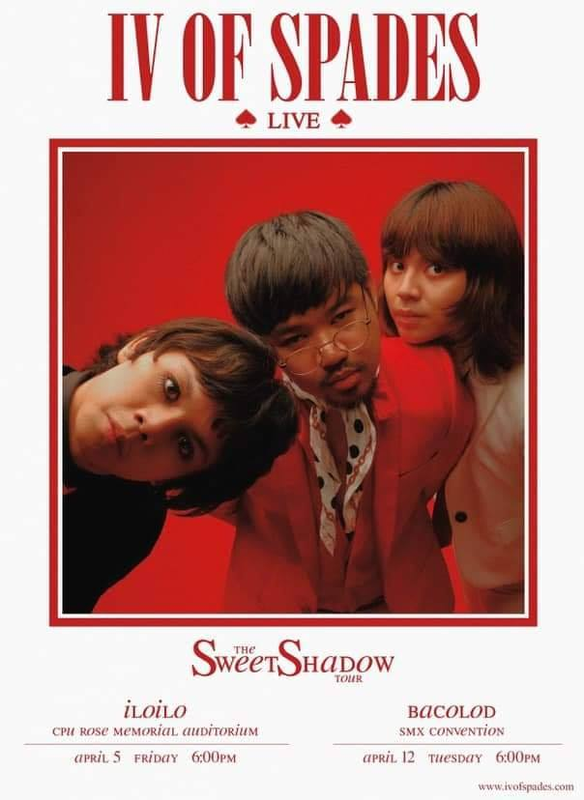 IV of Spades is a Filipino band from Manila, with the group members named Zild Benitez (lead vocalist), Blaster Silonga (lead guitarist), and Badjao de Castro (Drummer). The Sweet Shadow National Concert Tour kicks off in the City of Love, Iloilo City on April 5, 2019 and City of Smile, Bacolod on April 12. Watch Zild, Blaster and Badjao perform live 20+ songs from the new Clap Clap Clap Album and of course, their all time hits in a full production concert. Or cash payment accepted at Passion8/Fuse office (No reservations). Pm deposit slip, name and contact details to confirm your tickets. Also available at SM Tickets (+6% sf), CPUR plus other accredited outlets and sellers to be posted here. For more info, you may also contact 09983729433 or 09165278518.